President Donald Trump’s campaign has spent more than $US6 million on business expenses in 2018. More than half of that was spent on lawyers and digital consultants. Campaign manager Brad Parscale’s firm received more than $US2.8 million from the Trump campaign in the first half of 2018. President Donald Trump’s reelection campaign has spent more than $US6 million on business expenditures throughout the first half of 2018, Federal Election Commission filings showed. And more than half of those payments went to one of two listed categories – digital and legal consulting. The president’s campaign has so far spent more than $US600,000 this year on costs directly related to putting on campaign events, in addition to another $US330,000 in travel expenses, FEC filings showed. 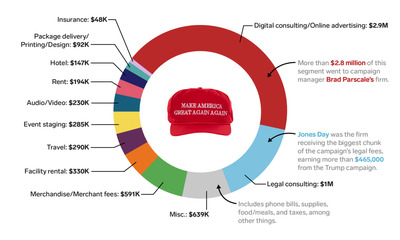 In the legal realm, Trump’s campaign spent more than $US1 million on lawyers in 2018. Jones Day, Larocca Hornik Rosen Greenberg & Blaha LLP, and Harder LLP were the law firms receiving most of those fees. 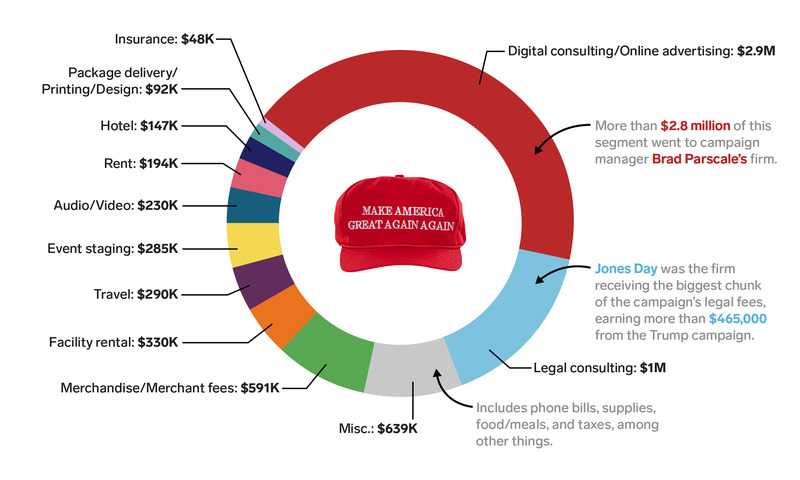 The largest chunk of Trump campaign cash went toward digital advertising – namely to the firm of Trump’s campaign manager Brad Parscale. The Trump campaign paid Parscale Strategy more than $US2.8 million in the first half of 2018 for the purpose of “digital consulting and online advertising,” according to filings.